They say that it takes money to make money. Unfortunately, when you don’t have much of it to spend, finding a job can become that much more of a challenge. 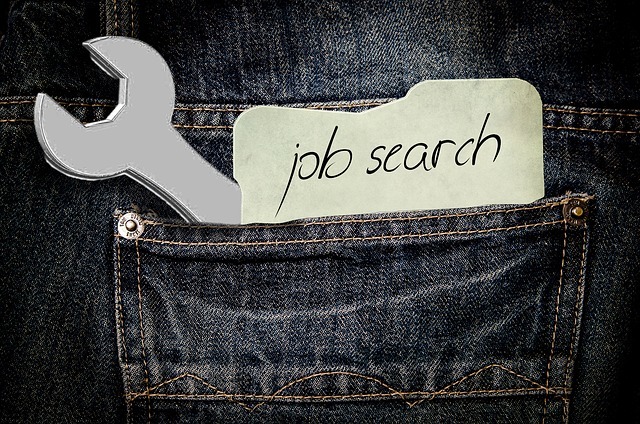 A job search is not only time-consuming, but it can be a real drain on your finances. When you don’t have a steady income, then you’re left with the unenviable and frustrating task of walking that tightrope between budgeting what little amount you have in your bank account and putting your best foot forward in presenting yourself to potential employers. The simple fact of the matter is that job-hunting can be expensive and require so much time in each day. In fact, just looking for employment can turn into a full-time job. Depending on the extent of your job search and the methods by which you are conducting it, you could be paying a lot of out of pocket expenses for a myriad of search-related costs. These expenses might include travel and transportation, placement services, temp agencies, resume preparation, and so on. Before you know it, these expenditures are eating up more of your resources and all you can do is watch as your checking account dwindles lower and lower. These challenges can be frustrating and frightening in equal measure and you may feel like there is no one to turn to for any kind of help. What might surprise you is that the IRS has your back as you try to find a new job. The IRS has implemented some helpful tax breaks for those who are working hard to find work. However, like anything that involves the IRS, there are stringent rules in place and the standards for qualifying if you hope to take advantage of these allowances. These criteria must all be met in full. If not, you won’t be eligible for the tax deductions that the IRS is offering. You won’t just need to comply with these rules, either. You’re going to need supporting documentation to back up your claims for deducting your job search expenses on your tax return, particularly if you have a large number you wish to claim. The more you take, the more likely you could be audited. That shouldn’t preclude you from claiming all that you feel you are entitled, but just be sure you have all your receipts and other paperwork should you be forced to provide proof. Conversely, be sure not to neglect any deductions that you may legitimately claim, either. No one at the IRS office is going to contact you about taking an allowance that you missed, so be vigilant in tracking down every opportunity available to help offset as much of your job search expenses as possible. Under the IRS guidelines, these deductions are classified as “miscellaneous deductions” within the tax code. To get the full range allowed by the IRS, you should refer to page five in Publication 529 for the year that you are submitting a return. That document will outline everything you need to know when you’re filling out your forms. Before you start itemizing your expenses on a Schedule A, you’ll want to make sure that everything you plan to deduct is actually deductible under the tax code. For starters, if this is your very first job search fresh out of college then I have some bad news. None of your expenses will qualify. You must have been employed prior to incurring the expenses that you’re now seeking to deduct. Therefore, if you’re just getting started on a career, good luck. You’ll need it because you can’t expense anything associated with your job hunt. How about those of you looking for new work in a different field? Maybe the graphic design career didn’t take off like you thought it would and you went back to school to learn how to work in information technology. Seeking out that IT job has come with some costly expenses that you really can’t afford and you intend to claim the applicable deductions for each. Unfortunately, those will not qualify either. The IRS only allows job search deductions on qualifying expenses for individuals who are searching for a new job in the same field in which they previously worked. That means that if you’re still looking for another job in graphic design after your previous one came to an end for whatever reason, then you are in compliance and your expenses will be considered deductible. Finally, anyone who decided to take some much needed rest or down time from the workforce after losing their previous job might also find it difficult to claim their job search deductions. According to the IRS, if you don’t begin your search for new employment in a reasonable amount of time after your prior position came to an end, then your expenses will likely be disqualified. It doesn’t matter what the reason might have been, either. Going back to school or taking a hiatus from the workforce or even having a child won’t earn you any special consideration from the IRS in regards to your job search expenses. The IRS is quite explicit about itemizing your deductions. You must submit a Schedule A that details all of the expenses you incurred during the course of your job search during the tax year. If that sounds relatively simple yet potentially time-consuming, there are more requirements in place to further complicate matters. The tax code imposes a threshold amount that must equal more than 2% of your adjusted gross income (AGI). Once you reach that marker, anything beyond that in terms of eligible expenses may be deducted from your tax return. Keep in mind that all costs related to your job search fall under “miscellaneous”. For instance, if your adjusted gross income is $40,000 your miscellaneous expenses must be over $800 in order to meet the threshold. That means if you’re claiming expenses totaling $980, you may only deduct $180. That sounds a bit disheartening, but the IRS allows for a wide range of miscellaneous expenses that you can claim on your Schedule A. This way meeting the required threshold is easier and you can deduct more once you reach it. Every job search is different. What one individual spends may not be the same as another nor will they incur the same costs over the same period of time. The time it takes to find steady employment could be days or months. Qualifying expenses can really begin to add up the longer that you are out of work. However, no matter what your particular situation may be, there are certain expenses that just about anyone looking for a new job will be entitled to claim on their Schedule A. Remember, you’re only allowed to claim deductions on expenses associated with a job search from the same industry as your previous employment. However, that search could take an exceptionally long time, much longer than expected. You might need to pick up a part time job on the side while you continue your search. The good news here is that the IRS will allow you to claim deductions on any expenses that come with your part time job hunt while you’re seeking full time employment. If you find yourself freshly unemployed, then you may also be able to add on any expenses that you incurred but were not reimbursed for at your previous gig. This will certainly be helpful in reaching the 2% AGI threshold for many individuals. Your resume is essential in helping you find work. That’s why many individuals seek out professional help in preparing this critical document. If you paid someone to professionally write or proofread your resume, then you’ve incurred a cost that you can deduct. Once it’s finished, you have to send your resume out to potential employers. The costs that you might incur in doing so are also tax-deductible. These may include buying envelopes and postage, both of which might be necessary to distributing your resume, even though most employers accept resumes via email these days. Does that mean you can write off the costs of your Wi-Fi since that’s a vital component to enable you to send the resume electronically? Unfortunately, no. However, if you need to fax your resume to a potential employer, the cost of that transaction may be deducted. Just be sure you hold on to your receipt. Paying for any service that is designed and dedicated to helping you find employment is deemed tax-deductible. This is an expense that was made explicitly in pursuit of getting a job. These agencies may include employment or outplacement organizations that may find you temporary and full time work. Just be careful about claiming these costs on your taxes towards your adjusted gross income. If you are reimbursed for these expenses by an employer, then they no longer qualify as tax-deductible. However, if these expenditures are not reimbursed than you are free to claim the deductions for them. Your phone bill is a necessary expense every month and if you are using it to make calls to potential employers then a portion of that expense may be claimed for a deduction. 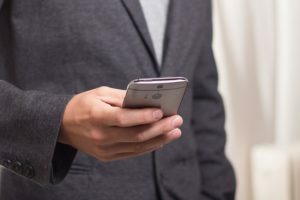 You will have to make a realistic calculation as to how much time you spent on the phone talking to recruiters, agencies, human resources representatives for potential employers so you aren’t challenged once you try to claim a deduction. Don’t expect the IRS to allow you to claim an entire month or two of cell phone bills, they will not be allowed. The best part of this deduction is that you may claim a reasonable amount whether or not you were hired by the parties you were talking to over the phone. Depending upon the type of work you’re looking for and the number of meetings or interviews that may entail, travel expenses could account for a large part of your deductible expenses. Whether you drive your own vehicle or take some form of public transportation, be it an Uber or an airline, any costs that you may incur during your travels could qualify towards meeting that 2% threshold of your adjusted gross income. These expenses don’t end at transportation, either, as you may claim deductions on expenses for hotel rooms as well. For those who have used their own automobile to travel to a job interview or other destination for the purposes of finding a job, you are entitled to take the standard mileage rate as allowed by the IRS for your filing year. Those rates can change periodically, but, as an example, the rate for 2013 was 56.5 cents per mile. The standard mileage rates typically fluctuate based on current gas prices. It doesn’t matter where you’re driving or how far, as long as you can prove you used the vehicle to get you to some employment-related destination or event such an interview, even a job fair, training seminar, or open call. The definitions of “employment-related” may shift based upon the field in which you are looking for work. If you are planning on using your automobile to look for work and take the standard mileage rate for your deduction you may want to start a mileage log to track your trips with the odometer. Taking down accurate notes along with the reasons for the trip, who you met with, and why will help you prove your claims for deduction. You’ll also want to keep your gasoline receipts as those may also be written off as a travel expense at tax time. The actual gas station receipt is preferable over anything displayed on a credit card statement. Should you need to move to find suitable full time employment, you may be able to deduct the costs associated with uprooting yourself and your family. Naturally, there are some restrictions and requirements that must be met in order for those expenses to qualify. The first one is pretty straightforward. Your new employer must be located 50 miles further from your previous residence than your last employer. If you had to move from your old home to a new one, this one is a pretty easy bar to hurdle. In addition, any employee looking to take the applicable deductions for moving costs must work for a minimum of 39 weeks during the first year after your move. Should you be self-employed during that time, then you must work the 39 weeks and a total of 78 weeks through the first two years after the move. If you meet the necessary requirements, then you may claim a number of expenses for deductions. For automobile mileage it’s 24 cents per mile during the move. You may also deduct any other expenses that were incurred for airline tickets or lodging. Any costs for packing and shipping your possessions to the new residence are also covered as well as 30 days of storage costs should you need to rent a unit. Other costs like shipping your vehicle or your pets to your new residence are also tax-deductible. Maybe you’re done working for someone else and you want to be your own boss. Good for you! Now that you’ve set out to start your own business, the costs associated with pursuing that dream may also be eligible for deductions. However, you must make sure that this new business enterprise falls within the same industry as your previous job if you hope to take advantage of these tax deductions. The same rules apply no matter if you’re looking for a job or trying to start your own company, they must be within similar fields. These may apply whether you’re an employee or you’re looking to become your own boss. If you purchased any advertising to promote yourself or your services, those costs could count towards a write-off. Any costs that were incurred to purchase newspapers, magazines, or other resources for the purposes of accessing help-wanted ads (this includes any fees for Internet subscriptions as well) may also qualify for deductions. Did you pay a lawyer to look at a contract for employment or get any other legal advice as you obtained work? Then those costs may also be eligible. We’ve discussed all of the costs and expenditures that might qualify as tax-deductible, but what about those items that you may not claim? Turns out there are plenty of those as well, some of which you might think would be applicable but are not. For starters, you’re not allowed to deduct intangible things like the value of your time. Yes, it’s true that time is precious, just not precious enough to claim on your taxes. Maybe you had to buy some new clothes so you look presentable for your upcoming interviews. That would easily qualify as a business expense, right? Wrong. Buying a new suit or dress to wear for meetings does not meet the IRS’ standards for eligibility, mainly because those items could be worn for any number of other reasons beyond your job search. However, tuition payments for education or special skills training courses may qualify. The IRS deems allows those costs to be applied under the “education deductions” section of Publication 970. Refer to that document to see how much you may claim and under what circumstances. In addition, any expenses that were made as part of your job search and then reimbursed to you by your employer no longer qualify. These can be any costs whatsoever, not just those made for hiring an employment agency. If your new employer is prepared to pay all of your moving costs and you receive reimbursements for those expenses, then those must go towards your adjusted gross income and do not qualify for a deduction. Finding yourself out of work, be it suddenly or with plenty of advance notice, can be a tough and stressful time. If you hope to claim every deduction that you will be owed once the search for your new job begins in earnest, be sure to get that search started as soon as possible. Taking a “substantial” period of time before you seek out new employment can dramatically affect whether or not you will qualify to claim your expenses on your return. The sooner you get started, then the better your odds could be of finding a new job. Even if you think you may be stymied during the process, at least demonstrate some effort towards securing a part time gig in the interim. That will show the IRS that you took the necessary steps in a timely manner regardless of whether or not you landed a full time position. Claiming every deduction you are owed is only going to be possible if you keep clean and organized records of all your expenditures with corresponding receipts and documentation to back it all up. This means everything, from something as small as stamps to as costly as an airline ticket across the country. The more proof you have of all the money that you spent during your job search, the more prepared you’ll be should the IRS challenge you with an audit. This also includes any miscellaneous expenses that might apply to meet the 2% adjusted gross income threshold. 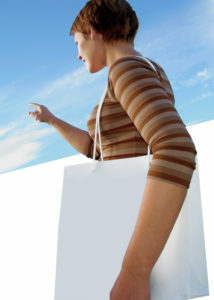 Keep all of your receipts and make them easily accessible should anyone request to see what you spent. Tax time is nobody’s idea of a picnic. It can be even more difficult if you have a tax liability in a year where you are currently unemployed. Lessening the burden through valid deductions will not only make it easier to meet your obligations, but also help to ease the pain of making out of pocket expenses when money is at a premium. Consider how much you could potentially spend as you look towards a pending job search. The deductions on this list are wide-ranging and varied and you can be sure that they will add up very quickly. Putting that money out when there’s nothing coming in can be a very frightening proposition even if you’re out of work for a short period of time. The average job search as of 2016 is 43 days. Six weeks without a paycheck. For many Americans the search could be far longer and if you’re among them, then you’re going to need to claim every deduction available.